We offer you the ability to check availability live and make online reservations. Click here to Check Availability or Click here to Make Reservations. If you see a cabin is full on the days you are looking for, please give us a call. We may have had a canellation or other arrangements and we may just have somthing that will work for you. You are always welcome to call our toll-free reservation phone number, if you prefer at 1-800-342-1552 or 218-246-8546. If you have questions, please feel free to call and we will get back to you as soon as possible. For reservations not made online, we will hold a cabin for 10 days from the date of our telephone conversation to allow time for your reservation form and monies to reach us. If the deposit is not received within that time, your reservation will automatically be cancelled. Additional Persons Charge: Rates include the number of people as stated for each cabin. An additional person charge will be applied for each person exceeding that number. The Additional Person Charge is $30/night or $120/week. The Additional Person Charge for Winter Stays is $45/night. Smoking Policy: Smoking is NOT allowed in any cabins or resort facilities under any circumstances! There WILL BE a $500 fee for violation of this policy Smoking is allowed outside but we ask that cigarette butts get disposed in proper containers. Pets Policy: The Pines Resort is pet-friendly. We understand that your pets are like family members. We do allow pets with a $85 fee charged per pet/per cabin/per week or $20 per day. Pets must be leashed at all times; never left unattended, and must be cleaned up after. Owners are financially responsible for any/all damages caused by their pet(s). Due to the extra cleaning required in the cabin(s), the Pet Fee will NOT be waived. Arrivals: No refunds will be given for late arrivals or early departures. 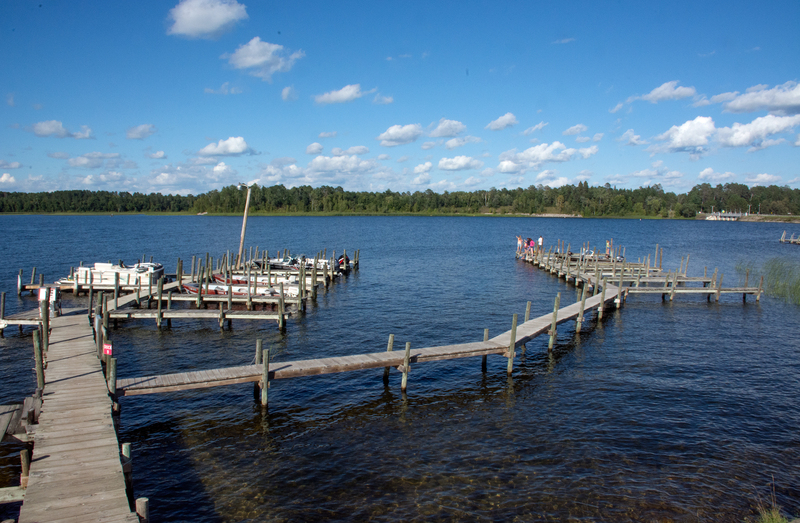 Cabin and watercraft rentals are subject to 7.375% Minnesota sales and local tax. Deposits & Cancellations: We understand that from time to time guests must cancel their vacation for various reasons. We hope you will understand that your deposit is non-refundable and non-transferable. Deposits are applied to the last day of your stay.You are responsible for your entire stay. Credit Card / Debit Card Transaction Fee Policy: A 3% convenience fee will be added to all Credit Card / Debit Card Transactions. Rental Agreement: A rental agreement must be signed at the time of check-in and a credit card must be placed on file, even if another form of payment will be used for rentals.